Most films have something to bring to the table even if they aren’t particularly good. Resident Evil had good fights and a tight soundtrack, Pixels had a lot of humor and good graphics, and even Transformers had nostalgia on its side. The Other is a film that has none of that. There is a saying that goes “Smash? More like Trash am I right?” in the world of twitch. That one wasn’t accurate but if you throw in the Other instead of Smash then you’re actually on to something. The Other starts off by showing two kids playing at the lake. They aren’t very nice kids so they quickly take the time to intrude on a neighbor’s property. 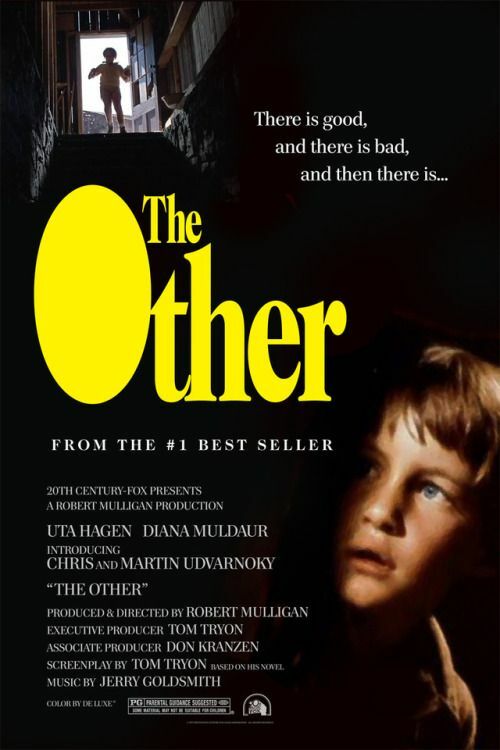 From there things only escalate as one kid begins to murder everyone in the family. Can Niles stop helping him long enough to stop this guy or is he as evil as he appears? Just calling them kids is gonna get confusing the whole time so the important thing to remember is that the evil one is called Holland while the less evil one is Niles. “Strangely” nobody ever sees Holland or even comments about him. Then there is the fact that the two brothers look identical. The twist is pretty obvious especially with a theme being that the main character can talk to the dead. As a result any scene with him in it is pretty bad. None of his “nice” scenes will work for you since you won’t fall for his tricks and either way it’s annoying how he always tries to change the subject. He just can’t face reality. This film is just super mean spirited. Bad things just keep on happening to everyone in the family and none of them get a happy ending. You can also blame this on the writing and a poor script. There is nothing to grab your attention here and you’ll have a hard time paying attention since there is no one to root for. The film drags on and on for the whole duration. None of the characters are particularly smart either. Even after one of them ones what is going on she decides to keep leaving the lead alone in the same room as other characters. Surely she should know how things would play out from there right? If not, then that definitely makes her look bad. We also can’t forget how she is able to play the control a dead person game and yet she doesn’t use it to try and find the missing person at the end. The whole film is leading up to her using that ability for this sole purpose and it doesn’t happen. When you’ve got supernatural powers that can save lives you really need to use them. Far as I’m concerned she’s an accessory to all of the murders that take place in this movie…and there are quite a lot of those. Overall, The Other is definitely a film that you’ll want to avoid. None of it is any good from the characters to the plot. It’s ultimately just a big waste of space and you’ll be glad that you skipped this one. It’s a shame that such a good title had to be wasted on this movie but that’s how it goes I suppose. Not all of the films can be winners and some are destined to fall all the way down to stinker territory. There’s not a whole lot more to say about the film as it isn’t terrible in an entertaining way. It just falls down the stairs from the start and never climbs back up. It fails at being a movie. This entry was posted in Live Action Movie Reviews, Live Action Movies, Reviews and tagged Film Review, Horror, Movie Review, Review, Suspense, The Other, Thriller by dreager1. Bookmark the permalink.